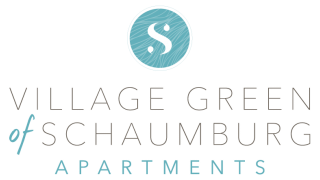 Management of Village Green of Schaumburg is very good. Staff is friendly and helpful. We love the staff, and it is a very quiet complex. We rate your place five star. I love that everyone is friendly and knows your name. If you have an emergency, someone calls you back right away. My overall experience living in the Village Green community has been great. From the starting process of signing our lease to finally settling in our new home. This definitely is a great community and we will be renewing our lease when the time comes. And we will definitely recommend others to this community. We couldn't have found a more perfect place to call home. Maintenance is excellent. We've lived here over four years and have nothing but good things to say! You guys are doing a great job providing all sorts of neat stuff for us residents; I applaud your efforts (and success) for finding ways to let us know we are valued residents, and to bring us together as a community. I have already met some of my neighbors- really nice people. I know everyone else living here feels the same. I love the location. It is conveniently near businesses, the Nature Center, within bicycle-riding distance of parks and tennis courts. There are great schools in the area. The staff at Village Green has been AWESOME in helping me make the best decision for me and my family. I just want to thank you so very much for the work you did in my apartment! Everything works well. You did such a wonderful job! Thanks for your help and excellent work!